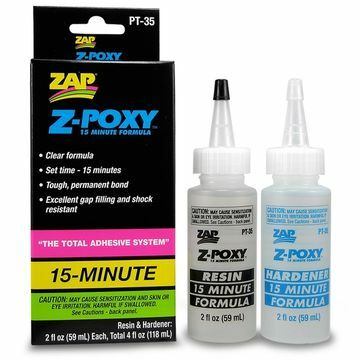 15 min epoxy is with it's long cure time the perfect epoxy for mounting guides on rods or making prototypes for faster test fishing. Use in good ventilation with protective gloves and face mask with gas filter. 15 Minute Z-Poxy is a premium high strength two part epoxy adhesive that dries clear. 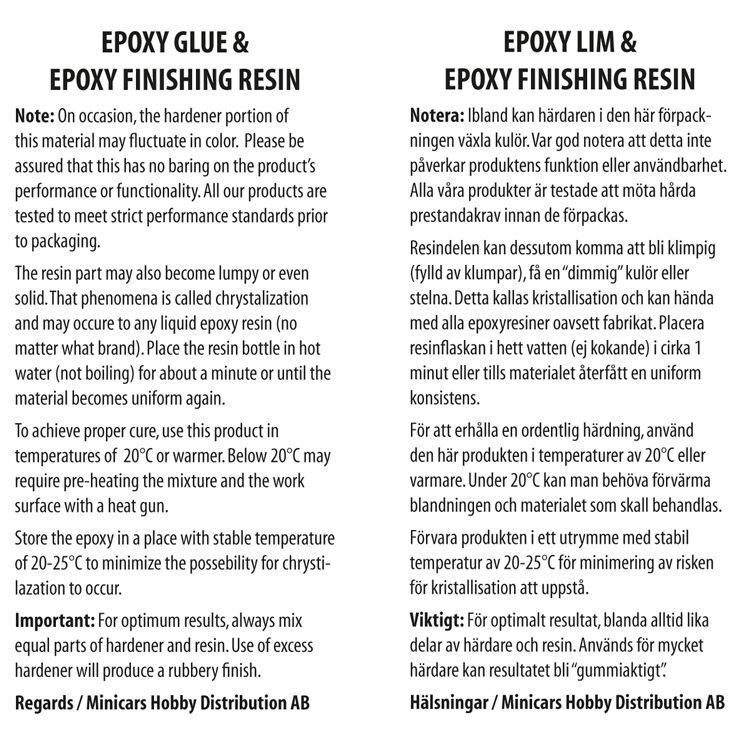 Vibration resistant and fuel proof, this epoxy is perfect for all types of hobbies and crafts. Use it on all fire wall and engine mount installations, its perfect for attaching bulkheads and formers in epoxy glass fuselages and model boat hulls. It does not get brittle with age and is easy to mix, just combine equal parts by volume. Handy to have at home for all types of fix-it jobs, great to have in the shop for all types of wood working and furniture repair.